Published: June 5, 2012 by Henry Holt and Co. I've had Shadow and Bone by Leigh Bardugo in my TBR pile for almost an entire year. I started to read it multiple times and loved what I read, but for some reason, always got yanked in another direction by another book or just by being busy. I even bought Siege and Storm (its sequel) the day it came out. But for some reason, I just hadn't gotten all the way into it, even though I was pretty sure it'd be good. It came highly recommended to me by multiple friends -- and several authors. I follow Leigh Bardugo on Twitter and she's incredibly sweet and funny. But I just hadn't committed to it. Why? I did a lot of thinking about this on Friday as I finally cracked open the cover, committed to reading it and I think I got to the root of my hesitation. I had heard only fantastic and amazing things about this book and its sequel. I'd heard it was ground breaking and amazing and unlike anything out there. And Rick Riordan (one of my favorite authors of all time) had named it one of his favorites for 2012. For me, that's like Shadow and Bone getting anointed by God himself. Stuart: Here, Sheldon, I pulled the new Hellboy for you. It's mind-blowing.Sheldon: Excuse me! Spoiler alert! Stuart: I didn't spoil anything. Sheldon: You told me it's mind-blowing. So my mind is going into it pre-blown. And once the mind is pre-blown, it cannot be re-blown. So that was my quandary. Will I go into this book, mind pre-blown as it is, and not enjoy it as much? Will there be a huge let down if it isn't all I'm expecting it to be? The result: Sheldon Cooper is wrong. You can go into a book with your mind pre-blown and have your mind re-blown again all over the place. I tore through Shadow and Bone in under 36 hours and it would've been faster if I hadn't had to go to the doctor for a blood test and if I haven't been super sick and sleepy and passing out constantly. I loved every page and started recommending it to other people before I finished it. Leigh Bardugo is so amazingly talented and she creates and wonderful world for her characters to exist in and for her readers to visit. She also created an awesome and strong female lead in main character Alina Starkov. So many paranormal/fantasy YA series go about the discovering that which is paranormal about the main character the same way. And most just don't hold up. You can predict relatively accurately how said female (or male) lead will find out he or she is magical or that their new friend is a vampire, etc., etc. Not every book -- in fact, NO other book -- can be Harry Potter, no matter how much they try to be. 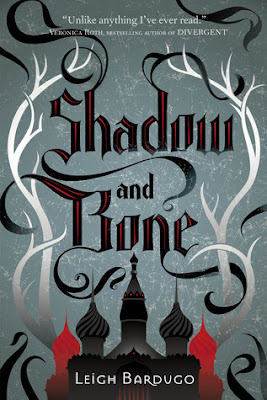 But in Shadow and Bone, watching Alina Starkov discover that she is, indeed, a Grisha, one of the magical beings she's been aware of her whole life is captivating. Leigh Bardugo writes in such a way that you really feel Alina's hesitation, her frustration, and her elation, and every other emotion in between as she embarks on a journey of self discovery. The story is so carefully crafted -- and I got that magical kind of feeling, just like I did when I first read the Harry Potter books. And that is something that is so, so rare. Leigh is also really talented at depicting the quintessential bad boy, imperative in the life of any teenage or young adult girl. The kind of guy who is supposed to scare you witless and who everyone is supposed to talk you away from, but you just can't help but fall for him. The Darkling, the most powerful of all the Grisha, is the kind of character that makes you weak in the knees and you're instantly infatuated with him. And then, just like most bad boys, he goes and does something -- or in the case of The Darkling, somethings -- so unfathomable and unreal and cruel that he blows you to smithereens and you want to hate him, but you can't, BECAUSE YOU STILL WANT HIM. Luckily, there is someone waiting in the wings to loves Alina -- Mal, her fellow orphan who he grew up with and who is not Grisha, but a tracker with the First Army -- to catch her (and you) when you fall. And you have SO MANY MAL FEELS ... BUT SO MANY DARKLING FEELS. And you're SO EXCITED ... BUT SO SCARED. I read dozens of books every year and the rate at which I read in the summer is always higher than the rest of the year. Last summer, I embarked upon Kristin Cashore's Graceling trilogy and I knew before I'd finished Bitterblue that it would be my favorite summer series and that nothing could complete. When 2012 rolled to a close it was in a two way tie for my favorite series (the other series being the very different The Last Year saga by Trisha Leigh, which is dystopian/post-apocalyptic/sci-fi). Similarly, I know now -- before I even finish Siege and Storm -- that Leigh Bardugo's Grisha series will be my favorite summer series. Shadow and Bone will be a book I read over and over again, recommend constantly, and make everyone in my family read. At the end of 2013, I'm sure no other books will quite compare. And I'm eagerly awaiting the appearance the final installment in the trilogy (cue tears), Ruin and Rising, which debuts in June 2014. 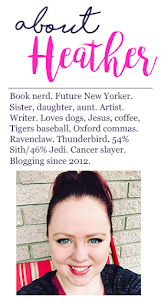 I may have come late to the Shadow and Bone party with my mind pre-blown, but I will be the very last fangirl to leave.